So What to Twenty! : Library! 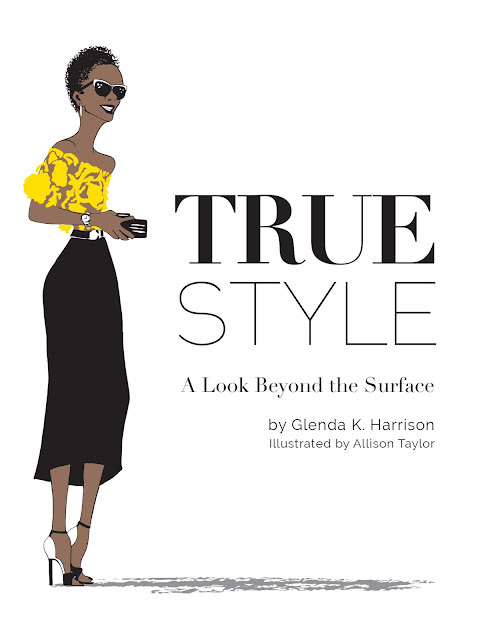 Glenda K. Harrison, freelance style contributor and creator of the blog, So What to Twenty, has long been enthusiastic about the subject of Style. Spending her days inspiring women to identify and embrace their unique gifts, and fashion prowess, she noticed the meaning of style is often cast into a one dimensional story – usually referring to fashion, and relegated into what someone is wearing, when in fact, style is much more complex than sartorial pursuits, and extends beyond what the eye can see. After spending many years deciphering people who embody the characteristics of Style, with clarity, Harrison takes us on a journey that cleverly unravels the intangible traits, as well as their wardrobe mastery, and then beautifully weaves together the person who encompasses this multi-faceted word. With the illustrations of Allison Taylor, True Style: A Look Beyond the Surface brings this person to life, and puts substance and artistry into the true meaning of Style. With a glass of champagne in hand, and while traveling overseas, I read this wonderful book cover to cover. 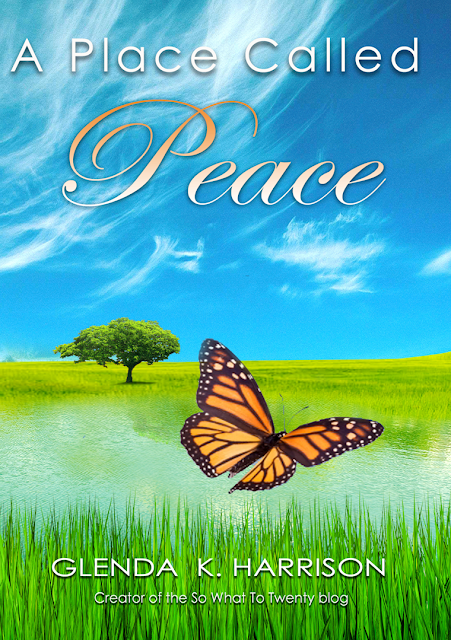 I know Glenda through her blog and enjoyed her first book ( A Place Called Peace) so I had a good idea what to expect. What a wonderful journey we go through when we read this book about how to be enlightened as to your true style, and what your style tendencies are. Glenda weaves an artful analysis for us on the true meaning of style. Style is multi faceted, and bit bit like a foreign language. How fun to decode it with this insightful book.The illustrations, by Allison Taylor, were captivating and enriched the reading experience. It turns out I am a true expressionist with some tendencies towards "consumptionist"...Sounds fascinating, right! IF YOU LOVE CLOTHING AND- OR FOLLOW THE WORLD OF FASHION, YOU WILL FIND THIS A COMPELLING READ! written by Glenda K. Harrison, creator of So What to Twenty! Glenda K. Harrison seems to have it all. The creator and author of a lifestyle and fashion blog, she gets to spend her days doing what she loves: helping women identify and embrace their unique gifts, inner beauty, and style. But life hasn't always been so enchanting for this wife and mother of two. As a young woman, she was plagued by poor self-esteem that fueled bad choices, self-sabotage, and even suicidal thoughts. For years, turmoil and pain in her family life caused deeply rooted unhappiness and dissatisfaction that bubbled over into every aspect of life and threatened to undo her. When her sister's medical emergency triggered Harrison's own health crisis and shed light on disturbing family dynamics, the situation compelled her to make brave and difficult choices - choices that ultimately led to emotional health, wholeness, and peace. With remarkable compassion and clarity, Harrison shares her own painful experiences with the hope of encouraging others who struggle to find their self-worth. Perfect for anyone who wants to find his or her gifts and to use them - especially in the face of hardship - A Place Called Peace offers hope, inspiration, and encouragement. "At the end of the 6th chapter, The Purpose of Butterfly Wings, I burst into tears - the message was so powerful and really resonated with me. That very place where we know ourselves and our unique gifts, and decide to move forward in life using them, without hesitation, is that very place called Peace - deep peace with ourselves and the whole world. The only place where we feel complete, it is not only reachable, but also welcoming to each and all of us. I think Glenda wrote her personal story in an honest, yet gentle way. There is absolutely nothing brutal or disturbing about her honesty, which is another sign of someone who truly found their place called Peace. Once we truly accept ourselves, we also accept others for who they are and where they are in life - the two processes are connected, it is impossible to find peace with yourself without accepting the journeys of others. And once we accept, our hurt is gone and we are free to move on. I loved the way Glenda reveals her personal symbols - those signs life sends us to let us know that we're on the right track and all is well. Those symbols are not only poetic in Glenda's book, but also deeply meaningful. With her inquisitive mind, the author finds out how to read those signs and what they actually mean in relation to her life. I also thought it was amazing the way her husband Fred, as well as Glenda's young sons were helping her to walk through the fog and see a clearer picture of herself and her journey. Really powerful. I recommend this book to others who are in their own inner journey, both women and men, who decided that with all our wounds and disappointments, we still can begin to live the life we always wanted. Not by becoming tough as tanks - rather, by becoming true to ourselves, which means honest with ourselves, open and vulnerable. Glenda shows that our vulnerability is actually our strength. See more reviews on A Place Called Peace at Amazon! Sign up below to receive emails from So What to Twenty, and be the first to receive information on Glenda K. Harrison. Hi Fredy! Thank you so much. I'm happy you enjoyed the book, and I'm pleased you're a part of the So What to Twenty community. Welcome! I am ready for My Autographed Copy. Hi Glenda, I want to order your book. I would love to get an autographed copy, how do I order one? Do i order it and then send to you? Hi Jamala! I was just talking to my husband about your decorating ideas. I have copies here. I'll contact you via private message. I have just discovered you and now that I have I am stuck! You are truly "The Bomb.com" Love the blog and the clothes and everything about you. You are one of my big sisters in my mind. Hi Kymberlye! Oh my goodness, how you have made my day. Thank you so much for your kind words...and for taking the time to comment. I truly appreciate it. 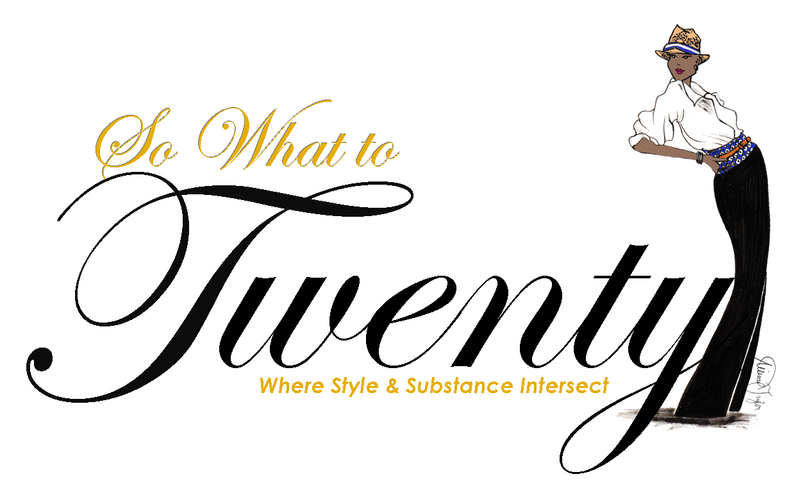 Welcome to So What to Twenty!